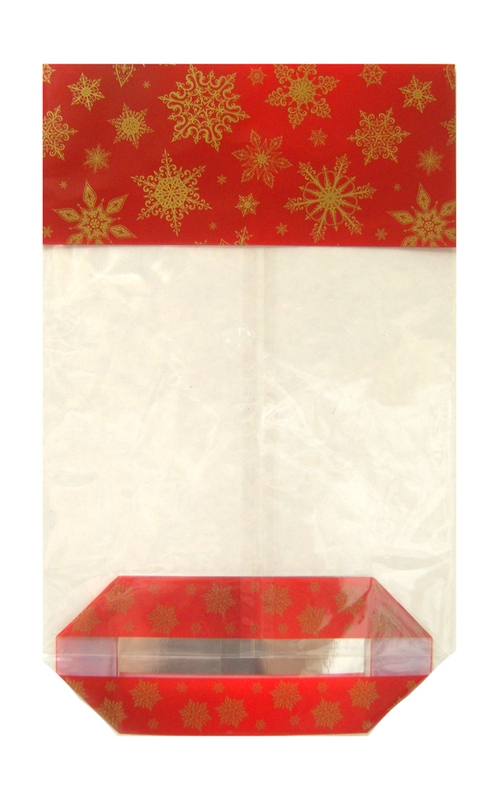 Pack of 10 block bottom Candy Bags and twist ties with a Christmas Red with Gold Snowflakes design. Each bag is made from 35 micron food safe cellophane. 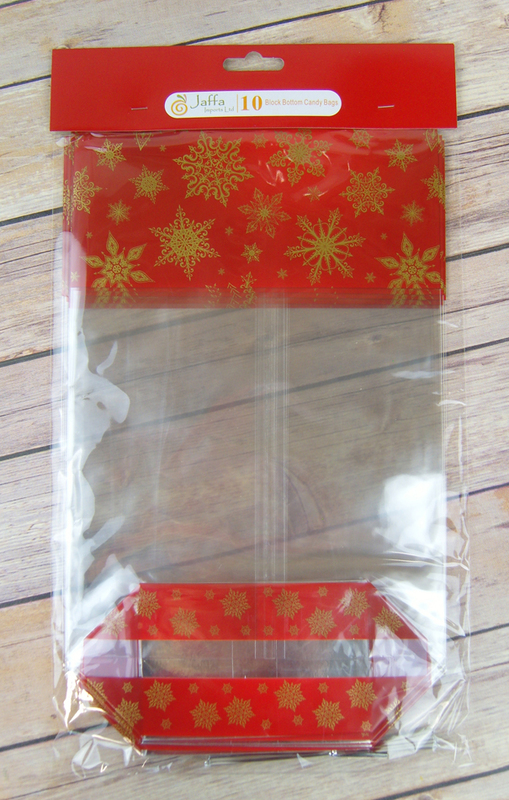 The block bottom base is made from silver card and fixed firmly to the bag. Overall measurements when ready for use are 120mm wide x 80mm deep and 330mm high. 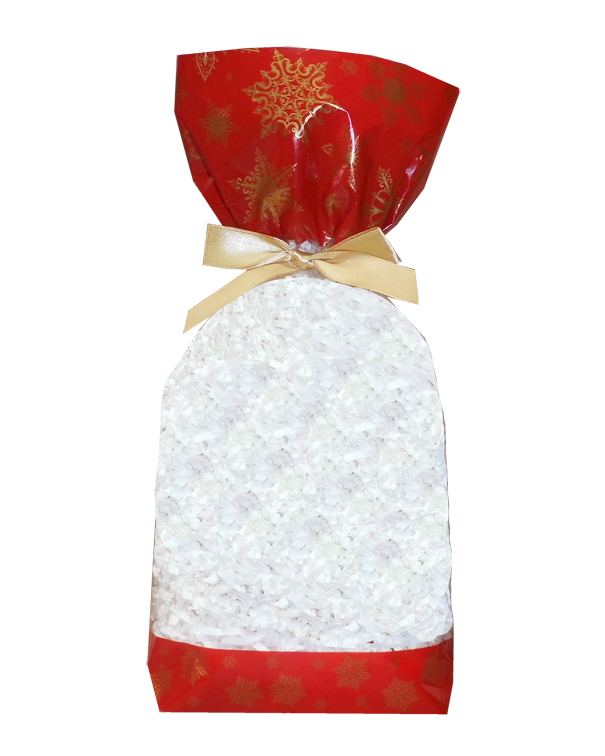 Great for Christmas treats and gifts.